For many, animals aren’t just pets, they are members of the family equal to children. Many American families spend thousands of dollars a year ensuring their pet gets the best products, care and attention. Where there is demand, innovative manufacturers are there to supply. This essential smart home guide for pet owners outlines some of the possibilities out there for using technology to manage pets. It makes sense to have some kind of pet management capability in a smart home. After all, which is more important? To have your coffee ready for when you get home or your dog happy and fulfilled? I know which I would choose! So with that in mind, here are a few smart technologies for pet owners. Many smart home starter kits include IP cameras that can be viewed from your smartphone wherever you are. 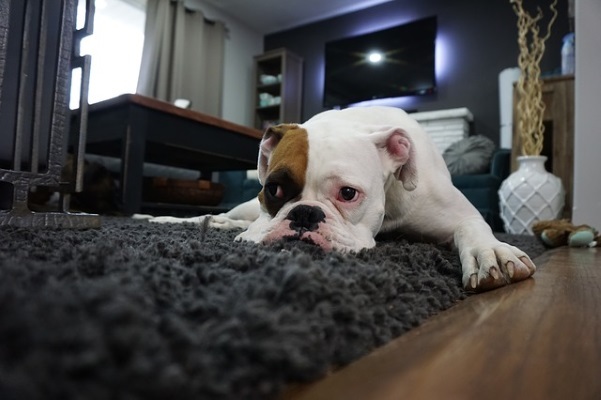 Integrating them into your smart home is an easy way to be able to keep an eye on your four-legged friends while you’re at work. The cameras are simple to set up, work seamlessly with the rest of your smart home and double up as extra security too. By seeing what your pets get up to while you’re not there can help you manage boredom, separation anxiety or plan deliveries to lower anxiety. We wear activity trackers to monitor our own fitness so why not get one for your pet? There are a couple on the market right now. One is the Whistle Activity Tracker that tracks your pets movements via GPS to see where they go, what they do and if they get excited or scared. If you need to work late or go away for a couple of days, you can use a smart pet feeder to keep your animals fed. It’s easier than getting a dog sitter and you can control it from your smartphone. Products such as Petnet allows you to control when and how much your pet eats during the day. It is ideal for keeping your animal healthy while you’re at work. A doggie-door or cat-door is an essential part of pet ownership for those with enclosed yards. They allow your pet a level of freedom without having to wait for you to open the door or even be home. This has obvious hygiene benefits for dogs and quality of life benefits for both dogs and cats. Smart dog or cat doors allow you to set timers or automatically allow a pet in, out or both. Those are just some of the ways a smart home can work for our pets as well as us! Make your home smart with the absolute best smart home washing machines or the Cheap and easy smart home night light guide. 4-gang smart light switch (Alexa compatible)? Can a Smart Light Switch + Smart Bulb interoperate? Which smart hub is better?